These Intrawest apartments offer comfortable accommodation in a ski-in location at the entrance to Tremblant Village. 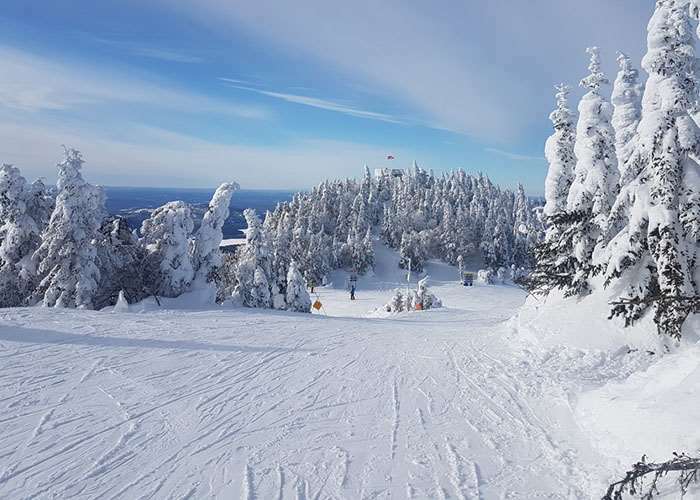 The Gondola is just a few metres from the property and shops, bars, restaurants and amenities of Vieux Tremblant are all within a short walking distance. 2 room apt, sleeps 1-6 ( 40m²) One separate bedroom with two double beds or one queen bed. 3 room apt, sleeps 4-8 ( 69m²) As 2 room apartment with 2nd bedroom with queen bed and additional ensuite bathroom with shower and wc. All apartments have full kitchen including dishwasher; living room with fireplace, double sofa bed, TV, phone; bath, shower and wc.